Discover the gastronomic wonders of Japanese cuisine with Tokyo Tokyo Anniversary Treat 2019! TOKYO TOKYO has become synonymous with quality and affordable Japanese meals that satisfy every Filipino appetite. It has masterfully combined traditional and modern Japanese flavors for 34 years. And to celebrate their 34th year milestone, they offer a temptingly tasty treat this coming April 25, 2019. Immersing yourself in Japanese dishes isn’t complete without having your own serving of California Maki. 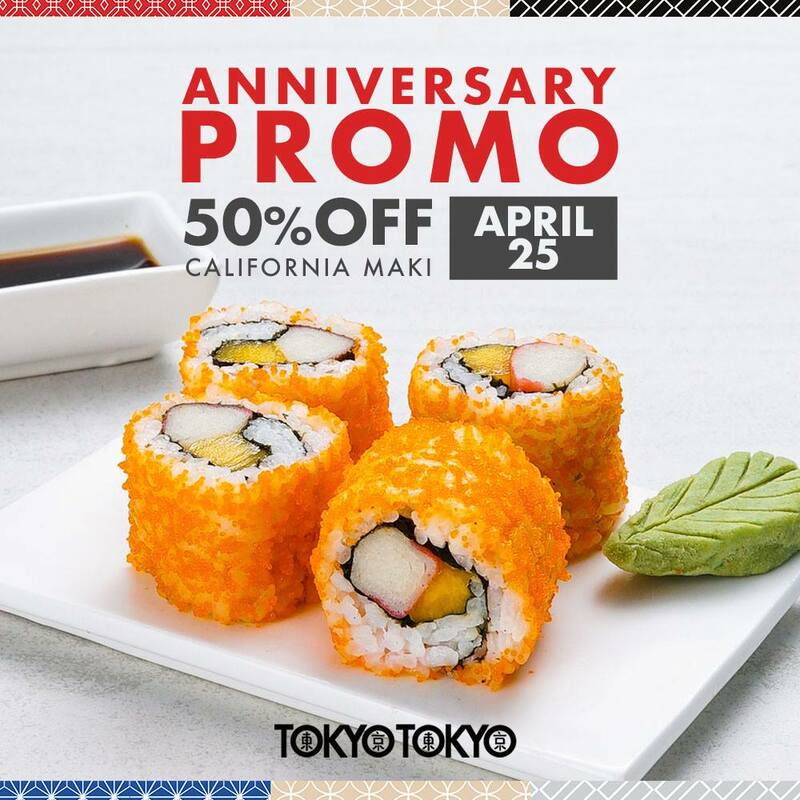 Tokyo Tokyo Anniversary Treat 2019 will let you indulge a 4-piece California Maki for as low as Php35! Have a mouthful bite of this famous Japanese staple. Enjoy 50% OFF the original price available the whole day in ALL Tokyo Tokyo branches nationwide! There are no other purchases required to avail this promo and it is applicable for both dine-in and takeout transactions only. Please note that prices may vary per store without prior notice. Since 1985, Tokyo Tokyo has been a pioneer in combining traditional and modern Japanese flavors to create signature meals that satisfy the taste of every Filipino. They have become the country’s #1 Japanese food chain with more than 60 stores nationwide and counting. Click HERE for the full list of store locations nationwide. 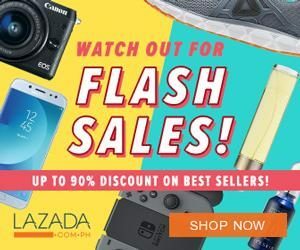 You can also visit their Facebook Page fore more exciting promos and deals.